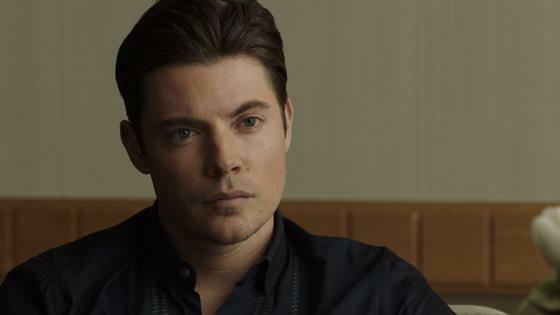 Kyle West (Josh Henderson) is returning to the Iris Holloway show to set the record straight about who he really is. Not the loyal friend, caring fiancé or good man he described himself as. After coming face-to-face with some of his demons, Kyle takes the chance to open up about the man behind the movie star in this clip from Sunday's season finale of The Arrangement. "I've been lying and covering up things up for years in order to sell something that everybody could love. But I've realized that it's impossible to love yourself when you're lying about who you are," an emotional Kyle tells the talk show host. "And you want to love yourself?" Iris asks. "I hope to," Kyle says. "I think that everything really good in life starts from there." See Kyle open up about who he really is in the clip above.